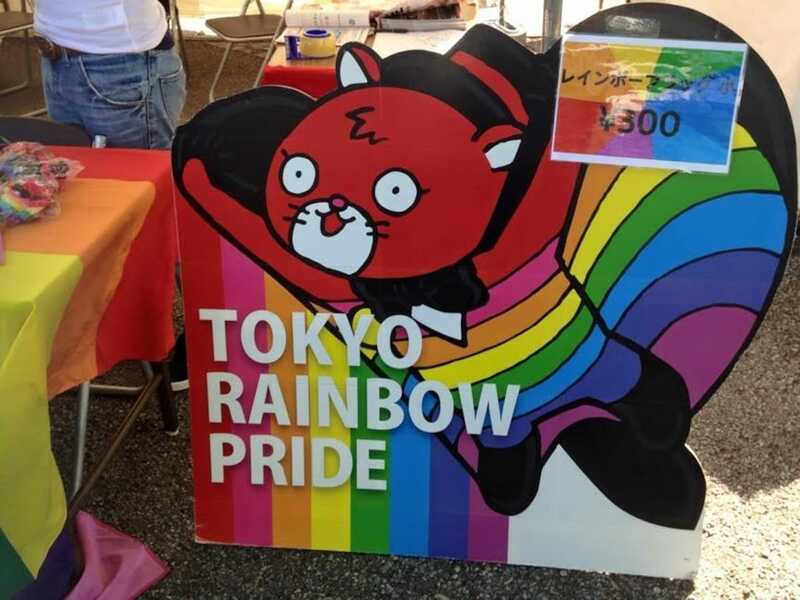 Replacing the Tokyo Lesbian Gay Parade in 2011, Tokyo Rainbow Pride (TRP) represents the entire LGBT+ spectrum with a nine-day festival welcoming thousands of revelers from around the world. We talked with Stonewall Japan Vice President Jessica Renee Gordon to learn more about the festival and her group's involvement from TRP's inception. Tokyo Rainbow Week is an annual event to showcase LGBT+ pride and visibility in the capital city, culminating in an exciting parade throughout the streets of Tokyo. Typical of many pride parades around the globe, the festival will include floats and participants in (and out of) various costumes, exemplifying their commitment to the awareness of the LGBT+ community. All walks of life, regardless of orientation, are invited to participate all in the week-long festivities, with the 2018 parade scheduled for May 6. Yoyogi Park once again plays host, featuring booths from LGBT-friendly companies, advocacy organizations and guest speakers. There are even performances from comedians, musicians and other artists. TRP just keeps getting bigger and bigger, with dozens of booths and even a concert stage—and J-pop superstar Ayumi Hamasaki scheduled to perform at 5 p.m. on Sunday! Participating in Tokyo Rainbow Pride since the established year, Stonewall Japan supports the goals of and acts in solidarity with the Japanese LGBT+ community. Yet, English speakers in Japan might find themselves at a loss when it comes to non-Japanese resources and events. That’s where Stonewall Japan comes in, facilitating queer-friendly events in English for foreign residents. A bit more of the history of the group can be found here. Stonewall Japan seeks to create a supportive community for international individuals living in Japan who might otherwise have little to no LGBT+ community sense in their work or living spaces. With both an online and an offline presence, anyone can be a member. It is free and easy to sign up on the Facebook group, as well as join the Stonewall Japan blocks (featured in every prefecture). Stonewall Japan is available at TRP every year for people to see what the organization has to offer! There are also some events unofficially related to Stonewall Japan (not organized by, but supported and performed by many members), such as the Tokyo Closet Ball Drag Show and Dyke Weekend. These events will have English services available for those who attend as well as English information provided in the links. Most of the official Stonewall events in 2018 will take place on May 5 and May 6. Throughout that weekend, the Yoyogi Park Stadium area will have the huge TRP festival, with dozens of LGBT+ friendly companies that have set up information booths in support of the event. Everything from wedding planners to company recruiters to magazine publications will be there. Entertainment will also be available to watch for free on the stage. The Stonewall Booth will be available from 11 a.m. to 6 p.m. on Saturday, while Sunday will feature the Pride Picnic Event in Yoyogi Park from 9:30 a.m. to 6 p.m. At night on Saturday there will be a Pride Bar Crawl, and of course, Sunday features the ever-beloved TRP Parade from 11 a.m. to 4 p.m.! For information on how to be a part of the parade, as well as follow other Stonewall events, join the Facebook Group as well as the TRP Stonewall Event. Vice President of Stonewall Japan, blogger, vlogger and aspiring novelist, Jessica is originally from Kentucky, but has called Japan home for 6 years. Loves to cook and travel in her free time. Save up to 86% with Advance Airfare!